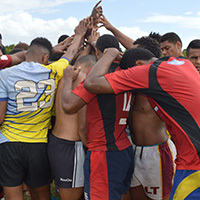 Polishing the game style and maintaining control of the ball are key focal points for Head Coach Baber as he puts the finishing touches on preparations for game one of the Rugby World Cup 7s, to be played on Saturday afternoon, Fiji time. “We’re looking at game intensity, how we incorporate this balance of speed and power into our game and how we can put our threats onto the field” he said. 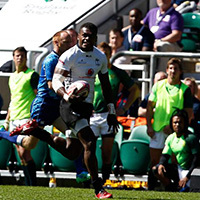 Fiji’s talented 12 man team is packed with x-factor and Baber is clearly ready to use that mix across the tournament. “Every player is somewhat of a utility player when you’ve only got 7 on the park so you need to have all jobs covered.” said Baber. Baber’s squad have been hard at work in the USA for the past two weeks and fans can be excited by who they will see in the white jersey come Saturday. “No one likes playing against any of the boys in our squad, we know that, we have such a variety of threats across the field” he said. “With Semi (Radradra), we saw in London what he can bring, he creates a huge amount of energy, and he has got great distribution skills which will bring good width in our game”. “Vatemo (Ravouvou), Amenoni (Nasilasila) and Jerry (Tuwai) can manipulate defenders in the middle of the field and the work horses Paula (Dranisinikula), Semi (Kunatani), Sevu (Mocenacagi) and Jasa (Veremelua) doing their jobs are formidable”. 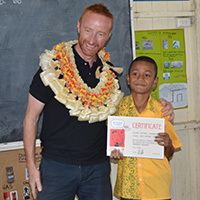 With the pressure of a knock out tournament looming, arguably more valuable than rugby talent will be the mental and leadership skills of the players within the Fijian squad.